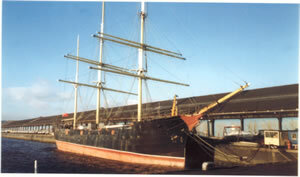 GLENLEE was one of a group of ten steel sailing vessels built to a standard design. The surviving steel parts of her now dating from the 1896 build are the keel, frames, beams and the riveted plates above the waterline. 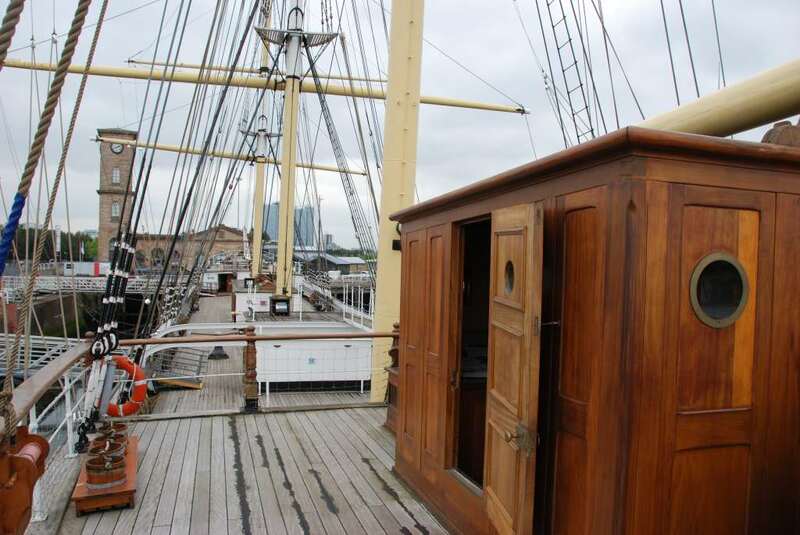 The beams in the poop are not original; the poop was destroyed by an arsonist in 1991 and the whole poop deck is a replica. The lower plates were replaced with riveted plates by the Spanish Navy in 1981, but some of the original riveted plates were left in place. The ship also retains the two original and very large metal water tanks. The decks under the fo’c’sle and in the forepeak are thought to date from 1896; they are certainly no later than 1922. 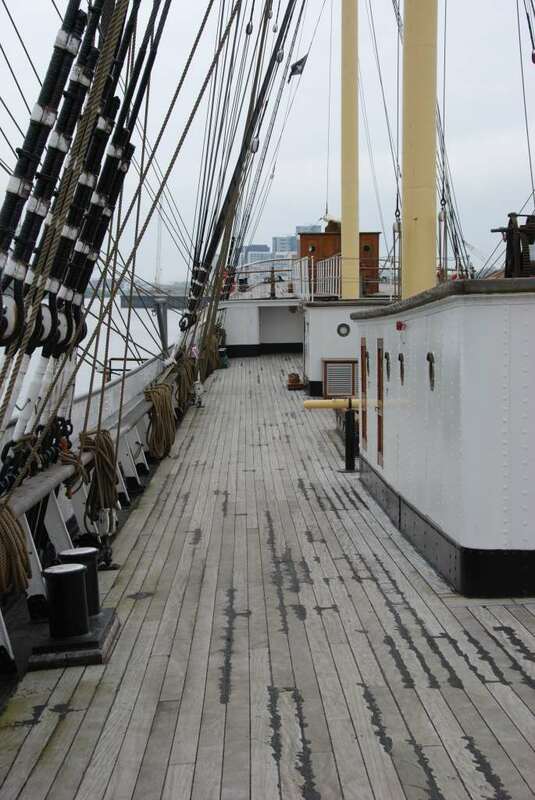 All other decks were re-laid during the course of conservation work carried out in 1997/8. The deckhouses are replicas from this time, but the masts and yards are welded steel tubes installed by the Spanish Navy circa 1955. They were cut up into manageable lengths and rebuilt, and the whole rig was then recreated during the conservation programme. 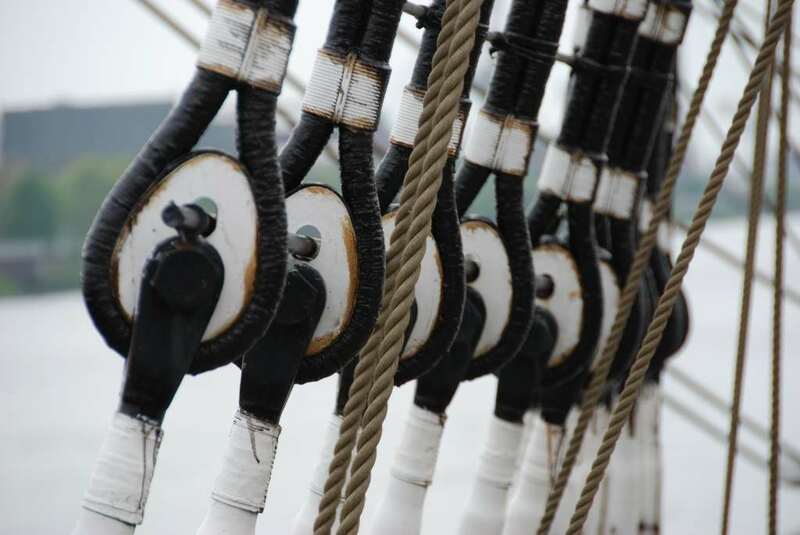 The anchor capstan and windlass on the ship when it changed hands in 1992 are believed to date at least from 1922 when the vessel was refitted as a sail training ship by the Spanish Navy. 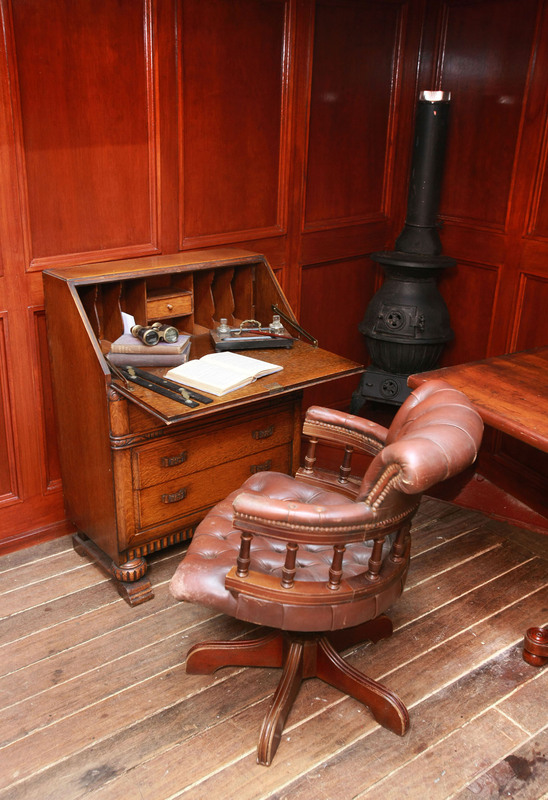 The engine and generating rooms have been retained from the Spanish era. 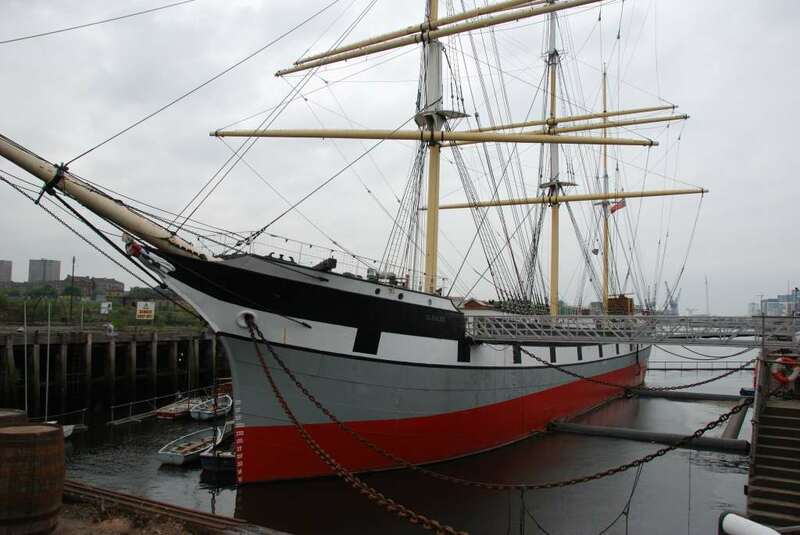 The ship was originally engined in 1922 with Italian Ansaldo engines, but was re-engined by the Spanish in the 1950s with British Polars, built in Stockholm in the 1950s. The Trust has retained one diesel generator, a Ruston built in Peterborough in 1922. 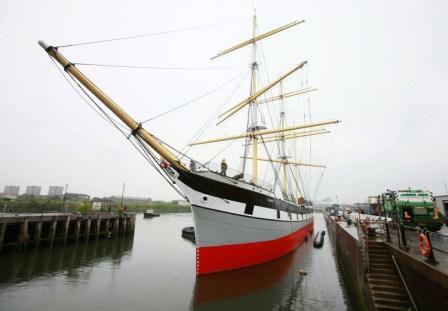 The Trust possesses an upper topsail that was built for the GLENLEE by the people of Mariehamm around 2000. The ship’s wheel was destroyed in the 1991 fire, but the yoke and worm-screw steering machinery is believed to be original or to date at the latest from 1922. 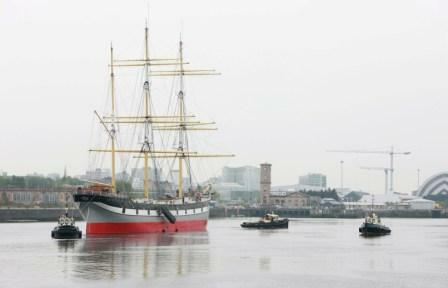 GLENLEE has significant associations with Scotland, being built for the Glasgow shipping firm of Archibald Sterling and Co. Ltd in 1896, and now having the distinction of being one of only five remaining Clyde-built sailing ships afloat in the world and the only one in British waters. She passed to the Islamount Sailing Company Ltd. of Dundee in 1898, then to the Flint Castle Shipping Company Ltd. of Liverpool in 1905. 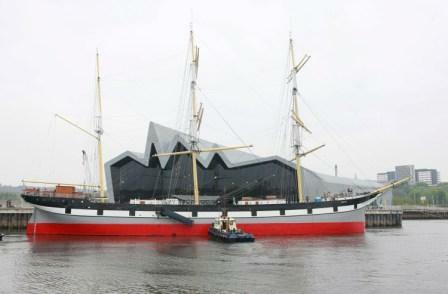 Under both owners she was known as ISLAMOUNT, a name she retained between 1899 until 1919. During the First World War she came under the direction of the British Shipping Controller in London and in November 1914, narrowly avoided contact with the German East Coast Pacific Squadron arriving safely in Talcahuano, Chile after 58 days at sea. She has strong international associations, having circumnavigated the globe four times and survived the storms of Cape Horn on fifteen occasions during her time as ISLAMOUNT. 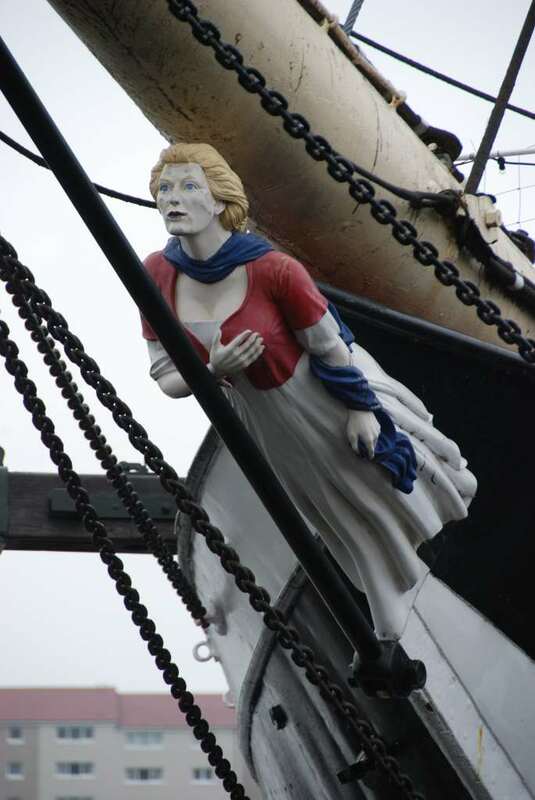 These links were strengthened by being sold first to the cieta Italiana di Navigazione Stella di Italia, Genoa, who changed her name to CLARASTELLA, then to the Royal Spanish Navy who re-named her GALATEA and used her as a training ship. 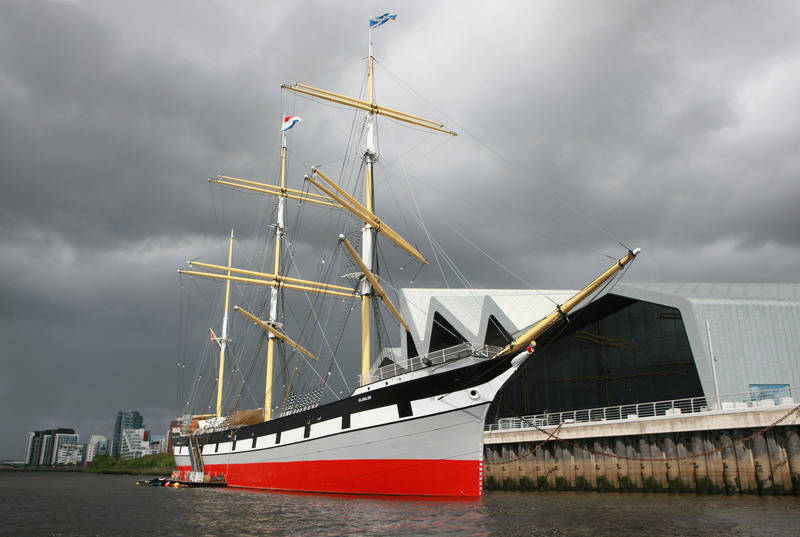 She regained her Scottish connection in 1992 when she was purchased by the Clyde Maritime Trust and re-named GLENLEE. She has been recorded on the National Register of Historic Vessels since 1996 and is part of the National Historic Fleet. 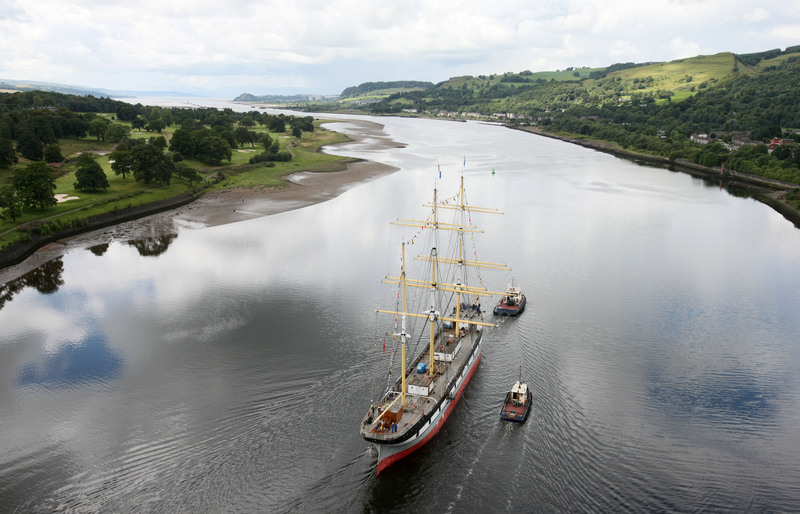 GLENLEE has graceful lines and is typical of the last epoch of sailing ships which sailed the world as bulk carriers in the nineteenth and early twentieth centuries. 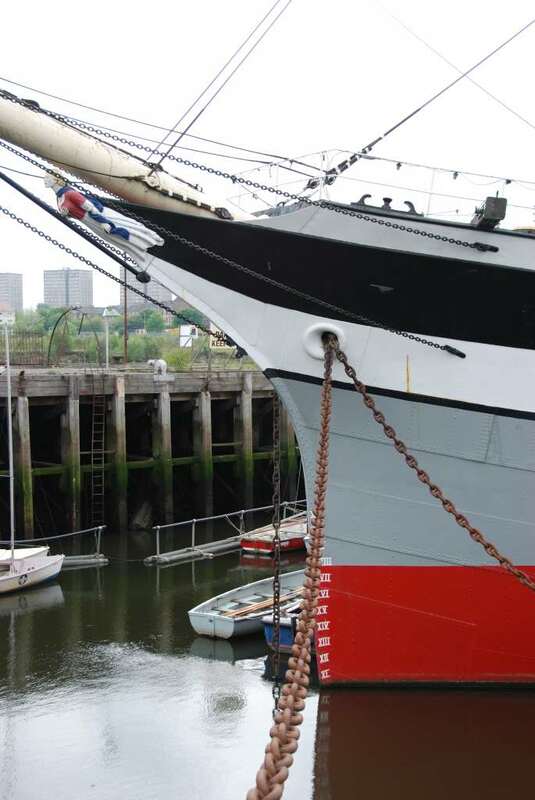 Replicas of her two lifeboats, pinnace and gig as originally built in 1896 are presently under construction and, once completed, will help restore her profile nearer to that at launch. 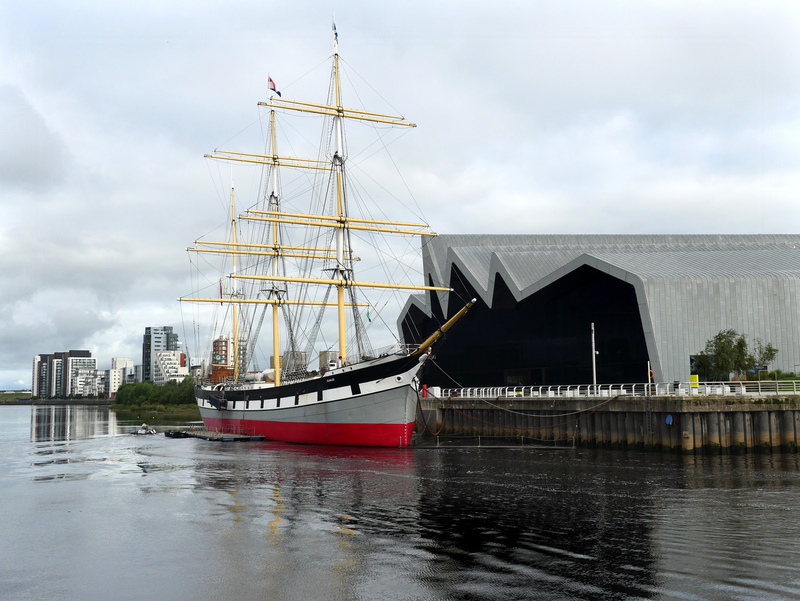 Whilst no longer operational, GLENLEE is preserved afloat as a static museum exhibit and can be seen in her original heritage setting of Glasgow where she was built. Source: NHS-UK team, 02 March 2016. 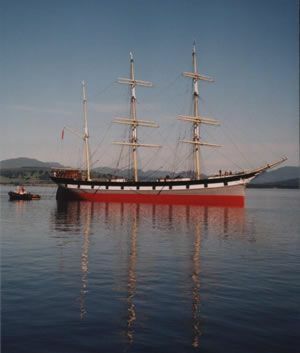 The three-masted GLENLEE is typical of the last epoch of sailing ships which sailed the world as bulk carriers in the 19th and early 20th century. 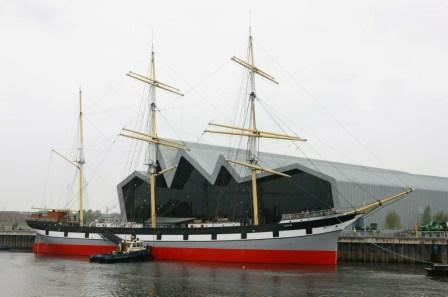 Built for Sterling & Co. of Glasgow, she passed to the Islamount Sailing Company Ltd. of Dundee in 1898, then to the Flint Castle Shipping Company Ltd. of Liverpool in 1905. In 1915 she was under the direction of the Shipping Controller in London, but laid up between 1918 and 1920. She was then bought by the Societa Italiana di Navigazione Stella di Italia, Genoa (who changed her name to CLARASTELLA). 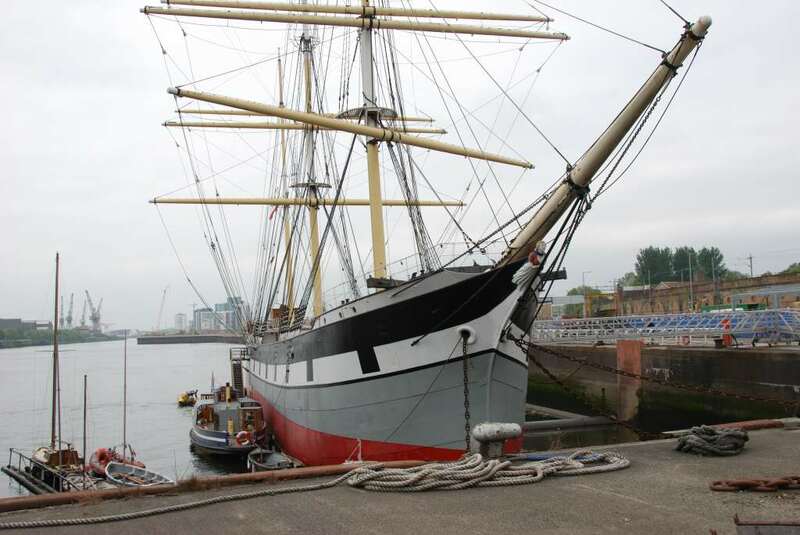 In 1922, she was acquired by the Royal Spanish Navy, her name was changed again to GALATEA, and she was used as a cadet sail training ship until 1969. 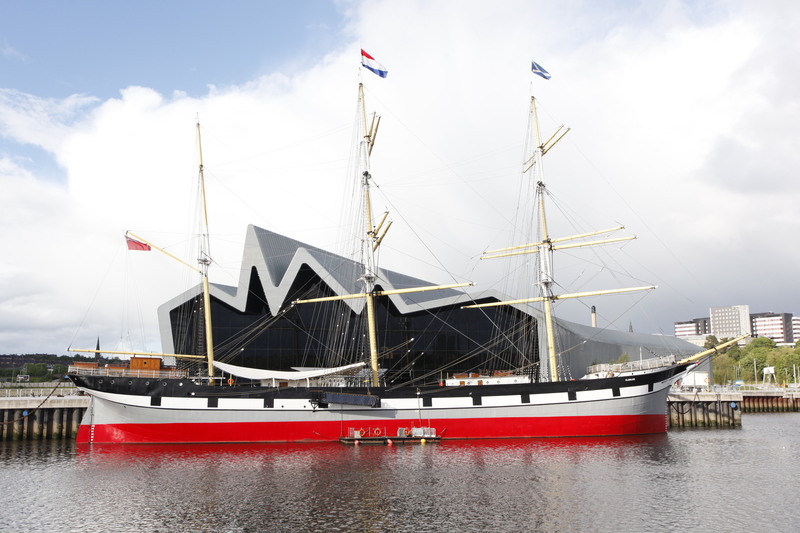 She was bought at auction in 1992 by the Clyde Maritime Trust and is now open to the public in Glasgow.